Register account now and secure your top position! Join the largest decentralized crypto trading community! 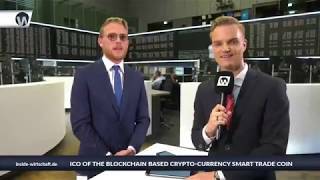 on "Smart Trade ICO" in the next video. 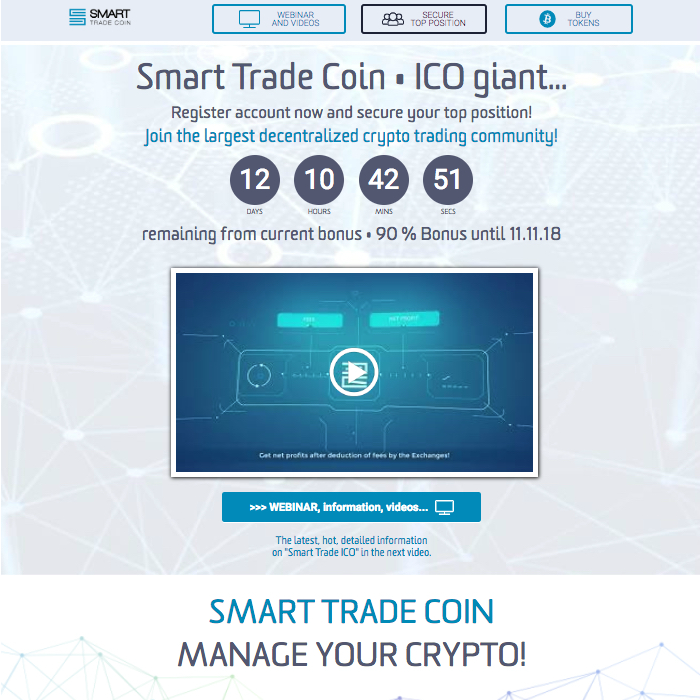 SmartTrade becomes the leading trading community in the crypto market! A verified trader has a value of several thousand €. If we reach only one percent of all traders with our software, then we form a billion company. Nowadays, despite impressive yield, it is becoming more and more challenging to trade cryptocurrencies in financial markets. The only way to be successful in this area is to take hold of a powerful information tool that will enable you to trade several orders of magnitude more efficiently. We will channel the entire potential of the SMART TRADE COIN WORLD to building up of the largest decentralized crypto trading community capable of directly influencing the major exchanges. SMART TRADE COIN works with four official bank connections to make sure that you have your crypto in less than 3 working days. Great influence on exchanges will enable you to favorably change trading conditions. All exchanges and all your assets in ONE account. Profit generation performance in arbitrage options is confirmed by independent live-testing. We launch the first decentralized live-tested SMART TRADE COIN SOFTWARE. Now all exchanges and all your assets will be able on ONE account. There is only one direct access to your assets via the software - you are always on the safe side. Each participant becomes an efficacious trader with the unique Smart Trade Software. Use more opportunities to trade crypto currencies! 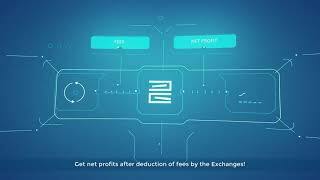 Manage all exchanges in ONE account! You don't have to log into multiple exchange accounts anymore, just open your SmartTrade account and have control over all your crypto currencies. but only sends a trading signal via a push back function. So there is no direct access to your assets via the software. You're always on the safe side. Now get tokens at the best possible starting price in a project that promises gigantic increases in value. A network tree that you can fill immediately, in which you can place yourself from the beginning in one of the best positions, INCLUSIVE your network. Set up with an ICO, where the coin will be used in the future for the platform/software - thereby gigantic increases in value and a particularly lucrative prospect into your personal future! Take your chance now, be there right from the start and place yourself at the top of the system - be faster than you ever thought possible, and simply register your entire network. Not a big investment as for other systems - but if you invest big, you have even more options! Use software for 12 months for FREE when purchasing tokens for at least $300 - and with a coin that promises gigantic increases in value! You can secure your position by buying tokens via Bitcoin and Ethereum. Minimum deposit $10. 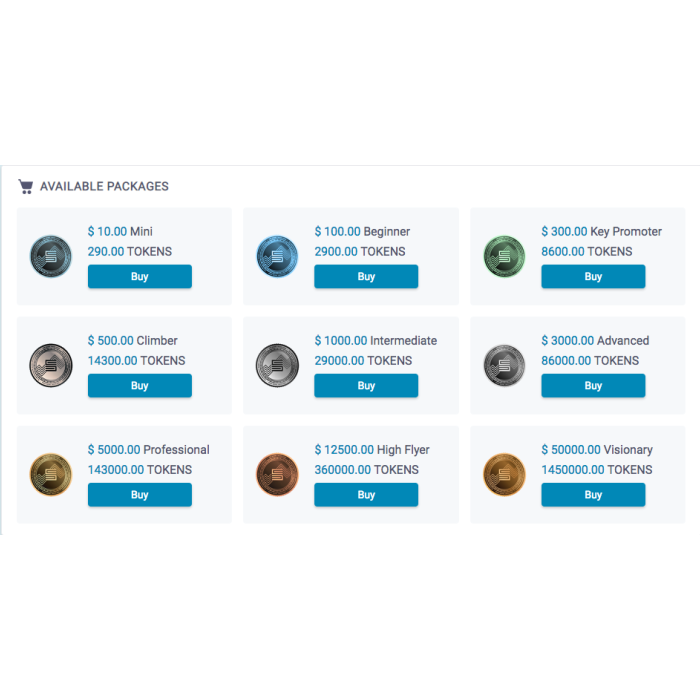 AND: Buy tokens for at least $300 and use the basic software for FREE for one year! Information without guarantee. Changes are reserved by the company SmartTrade and possible at any time! Immediate free registration and a minimum deposit of $10 (for 290 tokens) guarantees you one of the FIRST TOP positions in the binary tree at the top in later sales (no obligation!) of the product. start now with 3 easy steps! Use this unique opportunity with an already tested concept, a great product and a sensational earning opportunity and an oversized future increase in the value of the coin! >>> Secure your TOP position now! Do you want to use this landingpage? Register, get your referral link and then activate your own landingpage. Die Webseiten smart-autopilot.com, stc-ico.com, stc-ico.net, smarttrade-events.com das Marketing-System und die Landingpages werden von einem externen Dienstleister (DHS24 GmbH & Co. KG) programmiert und gehostet. Die Firma DHS24 GmbH & Co. KG steht in keinem wirtschaftlichen Verhältnis zu Smart Trade Solutions Ltd., sondern stellt ledeglich das Maketing-System und die dazugehörigen Webseiten zur Verfügung. All SMART TRADE SOLUTIONS LTD. offers are aimed at both private individuals and companies. In consideration of the current European data protection basic regulation we inform you in the following with complete transparency about which data of you we process by your entry on our web page. Who is responsible for our data protection? What data and where do these come from? We receive this information from your entries in our website registration form, from the webinar room and from the providers of the tagging pixels used. If you register on our website or for our webinar via the recommendation of a DHS24 marketing portal user, then also the affiliate ID as well as the user name of the user account of this affiliate. During a webinar or watching videos and information, we regularly upload tagging pixels from us and other providers such as Facebook, Google AdWords, AdRoll, etc.. This enables STS to recognize if and until when you have participated in the webinar for which you have registered, and which information you have viewed. On the basis of this information, you will receive further information before the start of a webinar and also afterwards by e-mail. Your consent also includes that we may use your data with the remarketing function "Custom Audience" of Facebook Inc. and the remarketing function "Similar Audiences" of Google Inc. This means that your consent includes specifically that your e-mail address is uploaded to the respective provider and compared with their own user data. If your e-mail address is linked to a user account with one of the providers, you may be shown relevant advertising messages or you may be specifically excluded from advertising messages. Both Google and Facebook allow you to determine at any time to what extent you would like to see advertising. The information agreement is always concluded when you confirm transactions in which the term "information agreement" is expressly used. You can view the exact content of the information agreement here. If you have entered into this Information Agreement, we advise you of the following: Under the Information Agreement, we agree to provide you with material information about our products, services and any other subject matter described in the General Information Agreement Terms and Conditions through any conceivable contact channel (mail, SMS, email, messenger, social networks and similar contact channels). There will be no costs for you. How do we apply tagging technologies? When a prospective customer logs on to one of our websites using a registration form, he automatically receives a so-called "tag" with the name of the registration or product form used. In addition, we automatically set the tags "e-mail received", "e-mail opened", "e-mail clicked" and "e-mail viewed in browser". In addition, manual tags can be created. For example, contacts can be tagged with "Customer" or - more specifically - with "Product A,B,C purchased" or similar. If you have consented to data storage within the context of a double opt-in procedure, we will store your data until you revoke your consent. This can be done by sending an informal message to info @ smarttradeico.io. You can also revoke your consent simply by clicking on the unsubscribe link contained in each e-mail. You have the right to information about all personal data processed about you as well as to correction or deletion, restriction of processing, objection to processing and data transfer. You have the right to file a complaint with the relevant data protection supervisory authority if you do not agree with the processing of your data and you believe that we should not sufficiently respect your rights. As a precaution, we would like to point out that this right may be subject to conditions that we will insist on. You have the right to receive personal data transmitted to us in an electronic format. Are your data leaving the European Union or the European Economic Area? It is possible that we may also transfer your data to external service providers who support us in the following activities: Administration and storage of data, IT support, organization of events (including webinars), setting and evaluation of tags. In any case, we ensure that these external service providers are carefully selected, contractually bound in accordance with data protection regulations and regularly checked. These service providers may also include companies that process your data outside the European Economic Area or are based there. In such cases, we only select companies that process the data at locations for which there is a Commission adequacy decision (Article 45 DSGVO). If this condition is not met, we only commission these service providers if they provide adequate security guarantees (Article 46 DSGVO), for example by agreeing the EU standard contract clauses. Please enter your contact data here. You really want to leave the site without having secured one of the TOP positions in one of tomorrow's largest decentralized crypto trading communities? Get tokens even now at the best possible starting price in a project that promises gigantic increases in value. 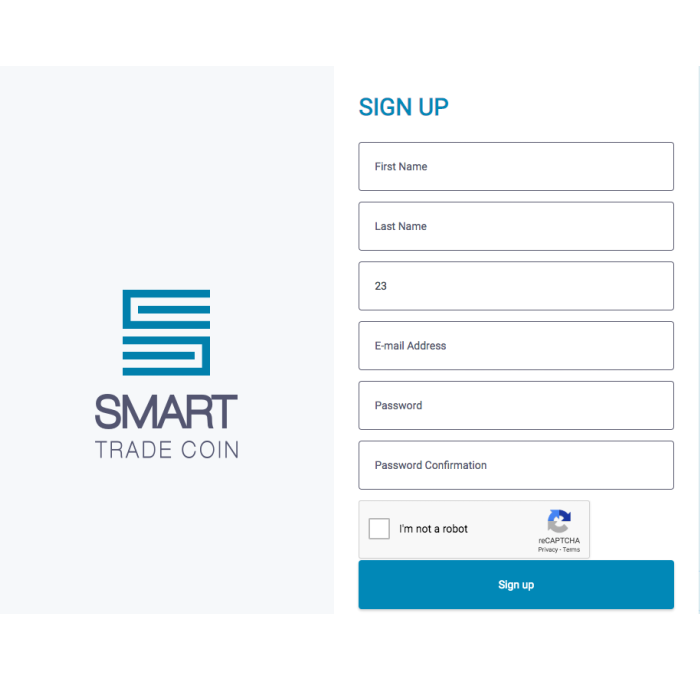 Take 2 minutes, register and secure yourself valuable tokens for the upcoming SmartTradeCoin! Secure your TOP position now!